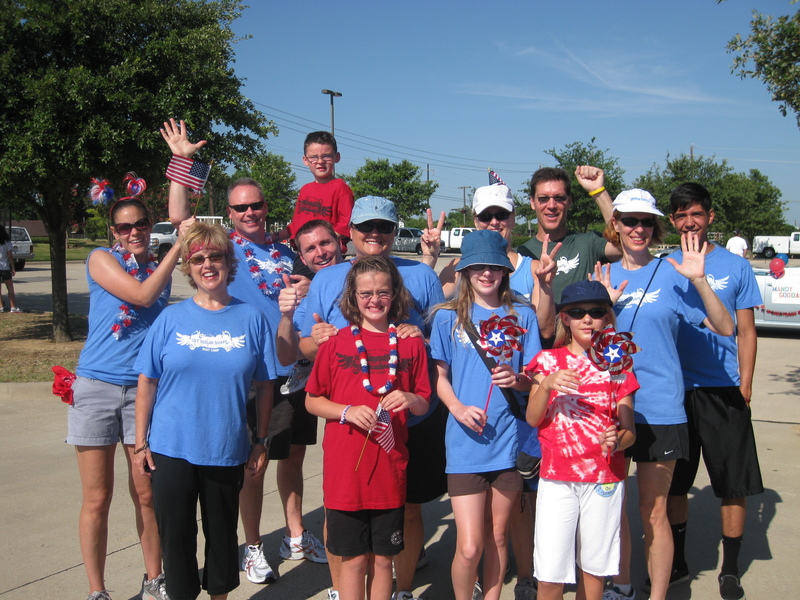 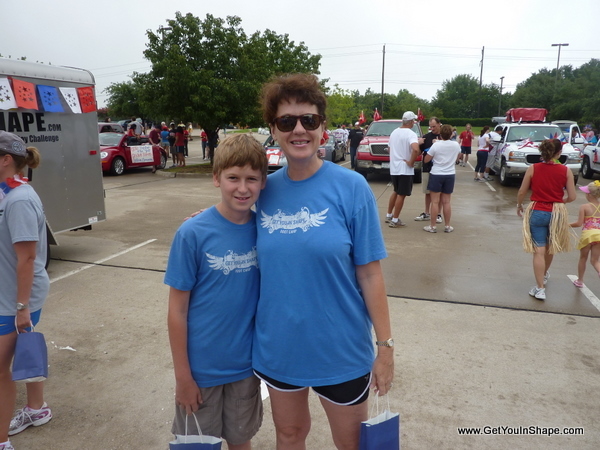 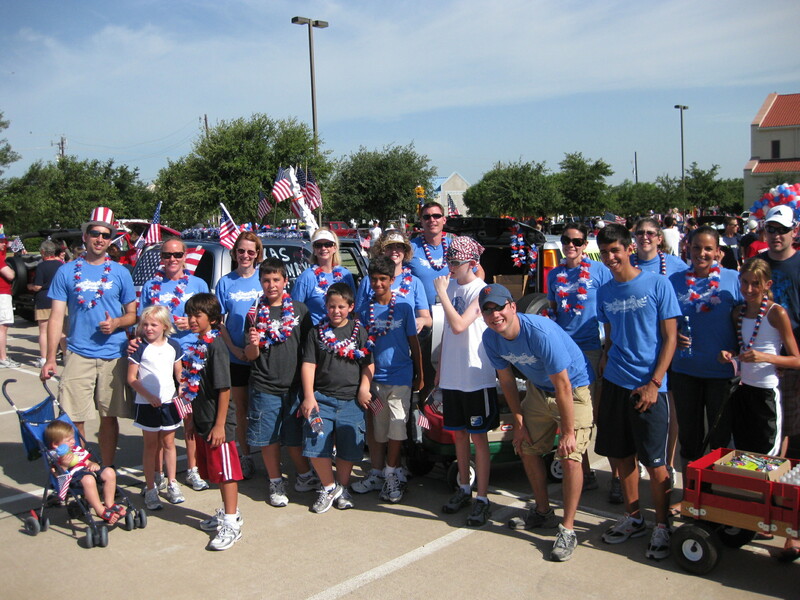 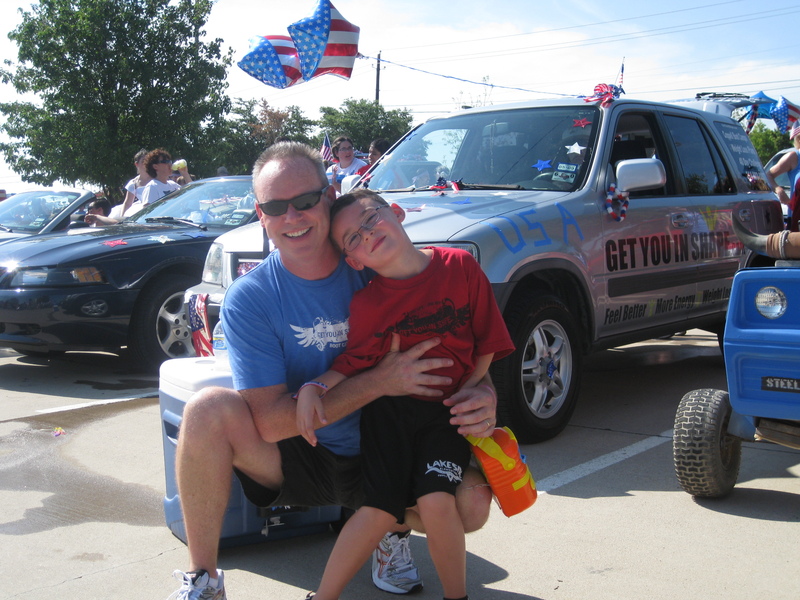 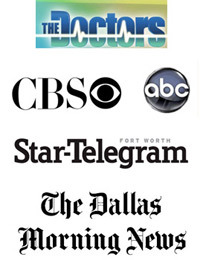 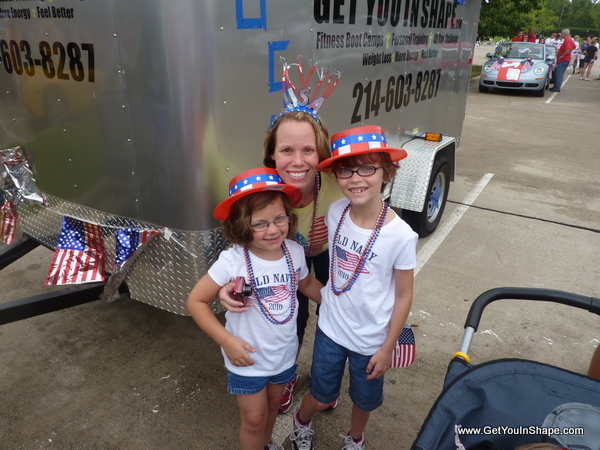 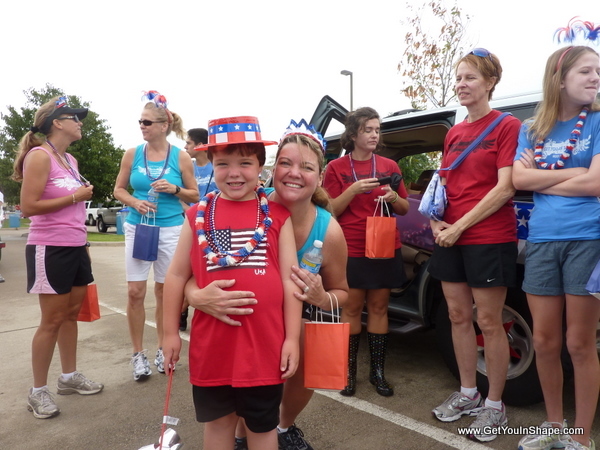 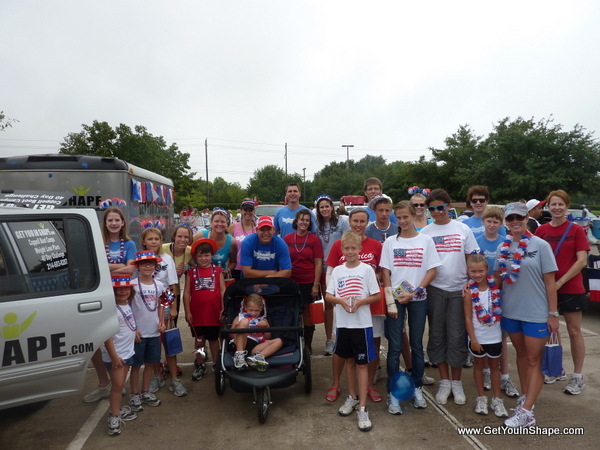 Get You In Shape will be in the July 4th Coppell Parade and we want you (and your kids) to join us as we walk the parade route. 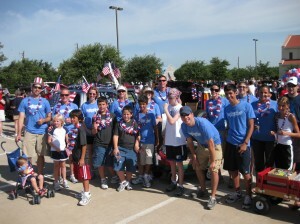 We will meet from 8:30am -8:45am at St Ann’s and walk to City Hall (by Andy Brown Park). 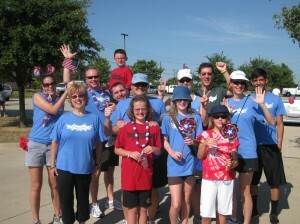 It will be about a one mile walk and a fun time to get together as a GYIS community and fellowship. Bring yourself or your family (as you can see below). 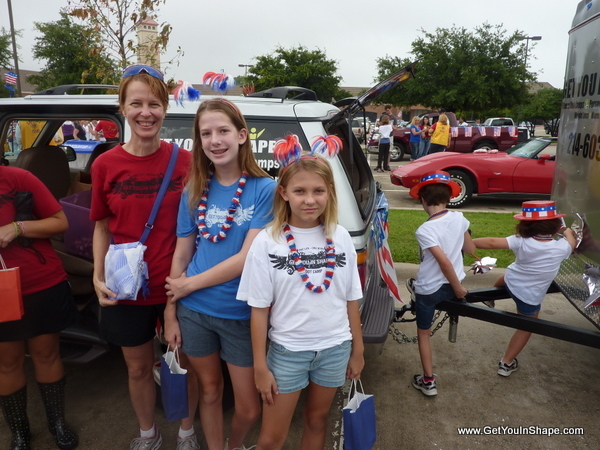 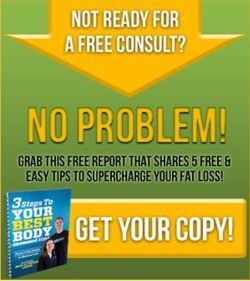 We do want/need some kids that want to pass out the Get You in Shape Flyers. 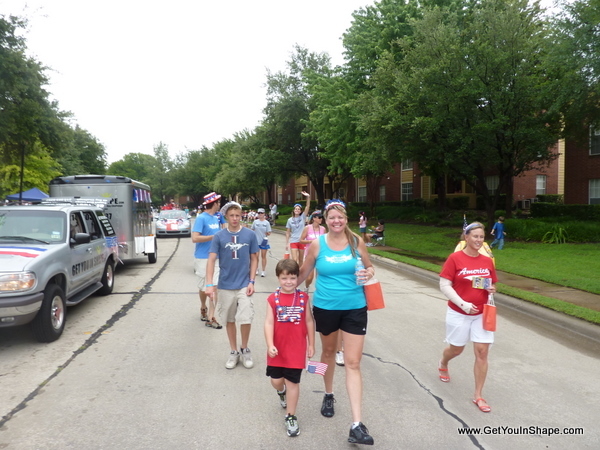 In the past, the kids loved it and actually competed against each other to see how many they could pass out.